Reversible hoodie for kids. 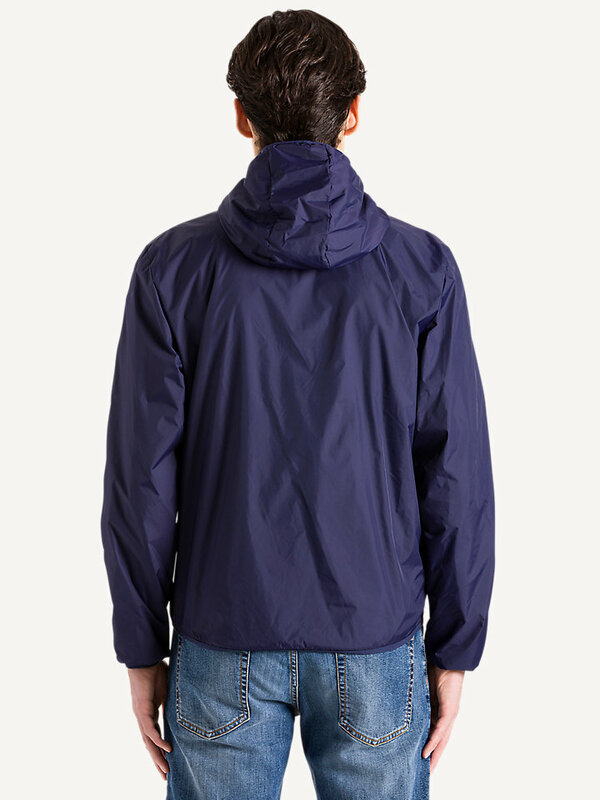 It is made of windproof compact nylon and is waterproof as well. 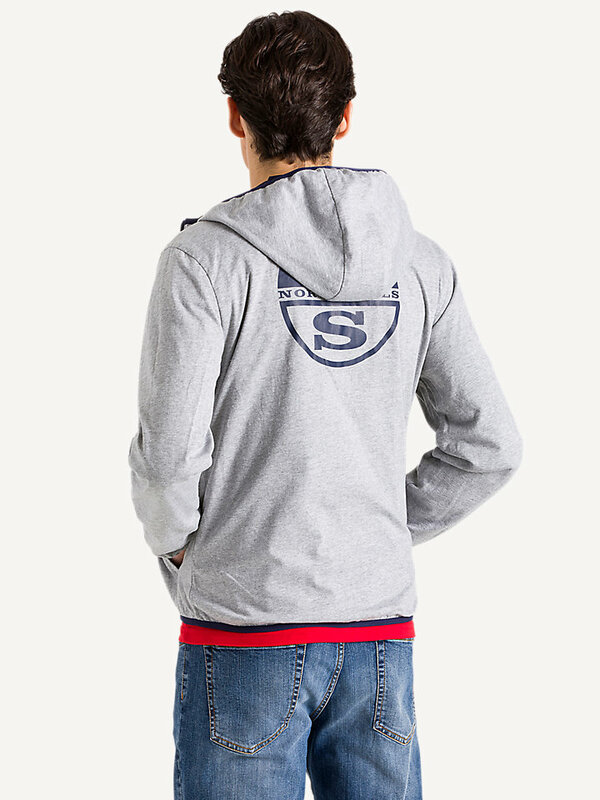 Snug, durable hoodie to keep your kid warm and dry, available in different colors. 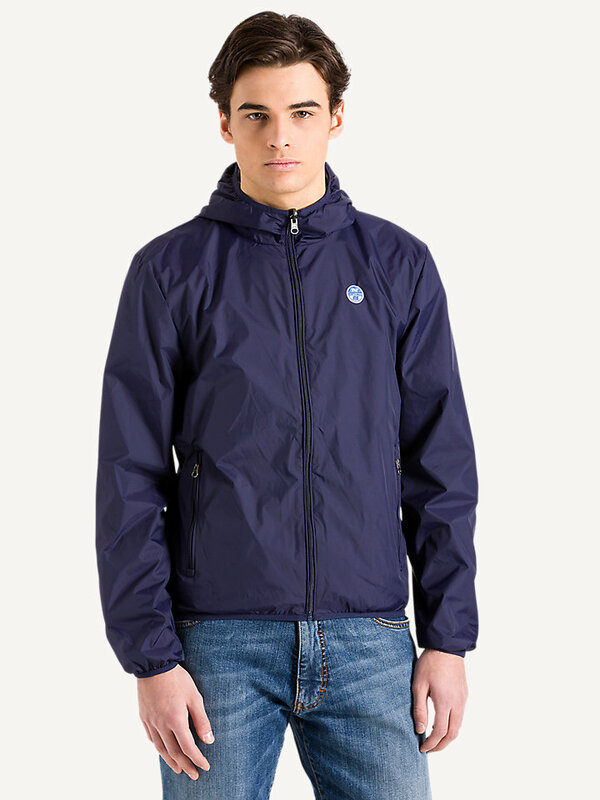 Classic reversible hoodie for twice the look. It’s up to your little one to switch sides whenever he feels like it. 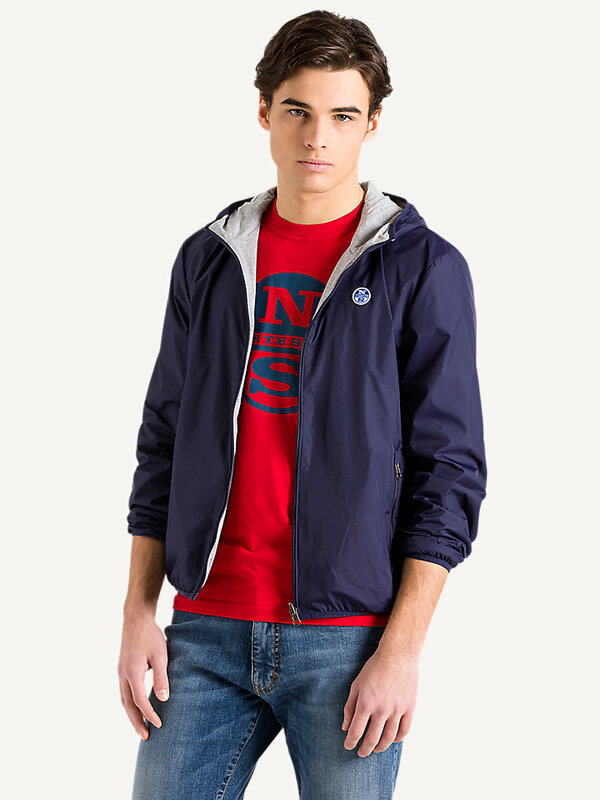 This hoodie is not only windproof, but also waterproof and very breathable thanks to the compact nylon it is made of. 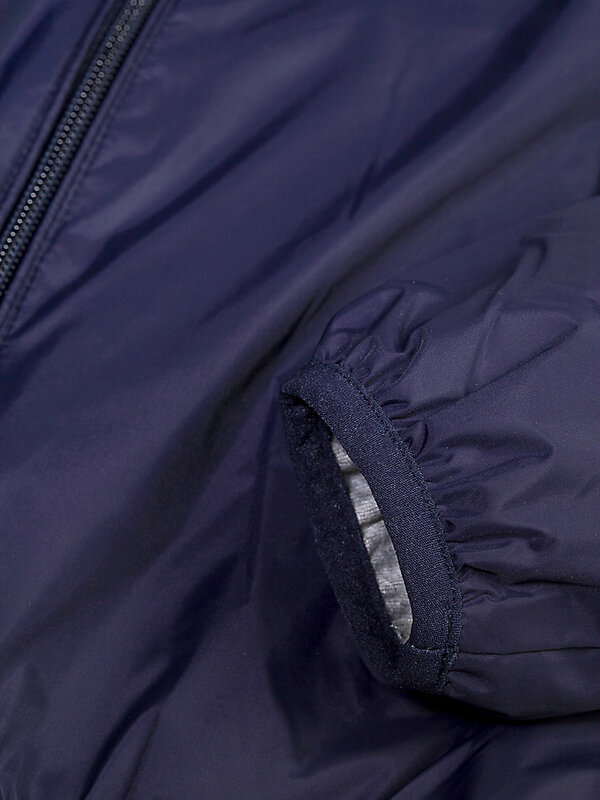 The lycra binding matches color with the outside at the hood, cuff and bottom. 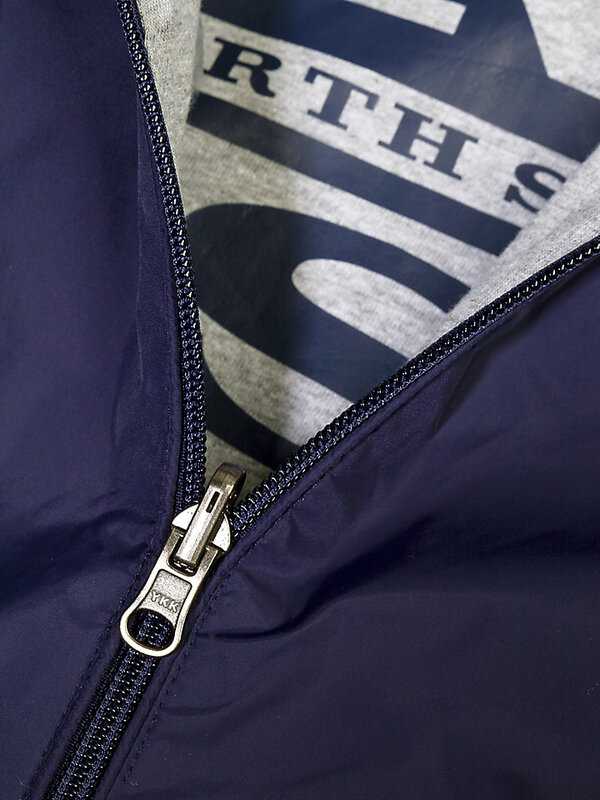 The hoodie comes with an iconic North Sails patch at the outside chest and a North Sails logo on the other side. 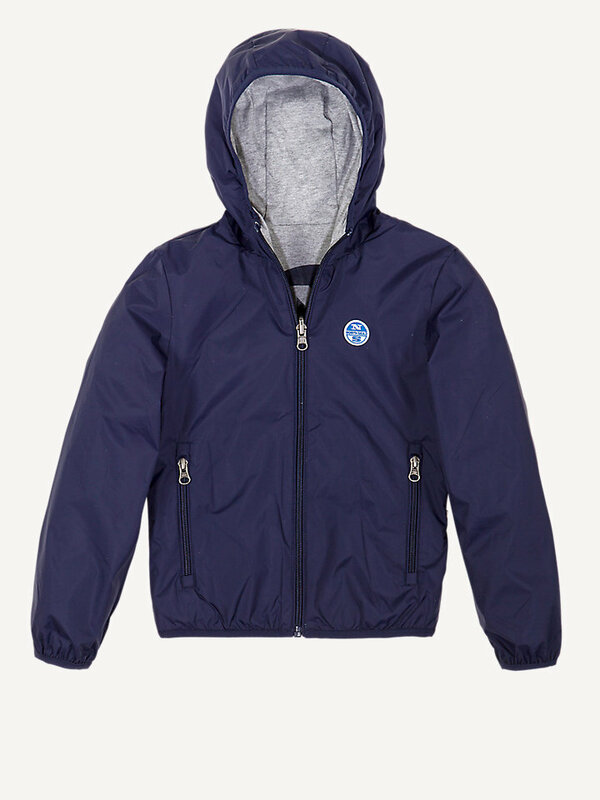 Bomber length, perfect to keep your kid cosy, warm and dry in any color he likes.